The disciplines encompassed by STEM are currently distinguished by associated bodies of practice, particularly in the practice of research. Analogous distinctions apply in STEM Education, extending to the signature pedagogies that characterise each discipline. Research within STEM Education is similarly differentiated with respect to methods, theories, and questions investigated. Current curricular design reflects restrictive conceptions of field-specificity and the unique integrity of bodies of knowledge encrypted as school subjects. However, references to STEM-related subjects, STEM industries, STEM occupations, STEM ideas and STEM practices are made most frequently not in celebration of interconnected fields of endeavour, but in lament of their fragmented dissolution. Attention must be paid to the affordances of affiliation and research undertaken to explore the legitimacy of STEM disciplines as connected bodies of knowledge and communities of practice offering enhanced educational opportunities through their interconnection. The approach pursued in this presentation is to examine those constructs to which the boundary walls of the STEM disciplines seem most permeable. Employing necessarily inclusive research designs, one consequence could be the reconceptualization of the organising principles of the curriculum. David Clarke is Professor in the Melbourne Graduate School of Education at the University of Melbourne and Director of the International Centre for Classroom Research (ICCR). Over the last twenty years, his research activity has centred on capturing the complexity of classroom practice through a program of international video-based classroom research in mathematics and science classrooms. The ICCR provides the focus for collaborative activities among researchers from more than 20 countries. Professor Clarke has worked with school systems and teachers throughout Australia and in the USA, Canada, Sweden, Germany, the Netherlands, Italy, Korea, Singapore, China, Malaysia, and the Federated States of Micronesia. Research collaborations also include the Czech Republic, Finland, Israel, Japan, New Zealand, Norway, Portugal, South Africa, and the United Kingdom. Other significant research by Professor Clarke has addressed teacher professional learning, metacognition, problem-based learning, and assessment (particularly the use of open-ended tasks for assessment and instruction in mathematics). Current research activities involve multi-theoretic research designs, cross-cultural analyses, discourse in and about classrooms internationally, curricular alignment, and the challenge of research synthesis in education. Professor Clarke has written books on assessment and on classroom research and has published his research work in over 150 book chapters, journal articles and conference proceedings papers. The entire University of British Columbia (Vancouver, Canada) campus is a living laboratory for sustainability, a 402-hectare "societal test-bed" in which researchers, students, operational staff and private- and public-sector partners can build, test, learn, teach, apply, and share the outcomes of their inquiries. In November 2011, UBC opened North America’s greenest building, the Centre for Interactive Research on Sustainability (CIRS), one of only a handful of buildings worldwide that will provide “net positive” benefits to the environment. It reduces UBC’s carbon emissions, powers itself and a neighboring building with renewable and waste energy, creates drinking water from rain and treats wastewater onsite. CIRS is one of four flagship projects – valued collectively at more than $150 million–that will help UBC to achieve the most aggressive carbon-reduction targets at any major research university: a 33 per cent reduction in Vancouver campus institutional GHG emissions by 2015, a 67 per cent reduction by 2020 and 100 per cent by 2050. It is also a physical hub for the University's efforts to deeply integrate academic and operational sustainability on campus and ensure any student, regardless of their area of study, can earn up to a minor in sustainability. Join Professor John Robinson, the man responsible for CIRS and UBC's Associate Provost, Sustainability as he describes the ways in which UBC is striving to prove out the technical, economic and behavioural aspects of sustainability in its simpler institutional environmental, share those innovations with society, and prepare the next generation of sustainability leaders. John Robinson is the Associate Provost, Sustainability at The University of British Columbia (UBC) and is a professor with the UBC’s Institute for Resources, Environment & Sustainability and Department of Geography. Dr. Robinson is responsible for leading the integration of academic and operational sustainability on UBC’s Vancouver campus. In that capacity, he directs the UBC Sustainability Initiative (USI) and provides leadership for UBC’s academic, research and operational activities and programs in sustainability. He also represents UBC’s sustainability activities to the broader local and international community. Dr. Robinson’s research focuses on the intersection of climate change mitigation, adaptation and sustainability; sustainable buildings and urban design; the use of visualization, modeling , and citizen engagement to explore sustainable futures; creating partnerships for sustainability with the private, public, non-governmental and research sectors; and, generally, the intersection of sustainability, social and technological change, behaviour change, and community engagement processes. Previously a Fellow of the Trudeau Foundation, he has been a Lead Author in the last three reports of the Intergovernmental Panel on Climate Change, which won the Nobel Peace Prize with Al Gore in 2007. Last year, Canadian Geographic magazine named Professor Robinson Canada’s Environmental Scientist of the Year and he was the recipient of the Metro Vancouver Architecture Canada Architecture Advocacy Award. Science literacy is vital if people are to properly respond to the problems concerning science and technology they face in everyday social life. Although schools are still required to play a basic role in the process, the lifelong fostering of science literacy should be conducted by diverse bodies such as museums. In order to satisfy this, we designed a Framework to foster science literacy that consists of four goals and five generations. According to the Framework, we created an online database system called “Science Literacy Passport β” which can help science communication between the public and museum curators. It was launched in 2013 with 17 partner institutions including NMNS. The alliance is composed of Japanese museums in five areas and abroad. Fukushima, which is in one of the five areas, has museums that run outreach programs about radiation. Examples like this will be explained together with the system itself. In the system, curators input the data of their educational programs into the database using the Framework. The data is shared between not only curators but also the museum users who have a special card called PCALi(Passport of Communication and Action for Literacy). This card is scanned when taking part in the program at museums and the personal learning history is recorded on the system. In addition to that, curators can receive feedbacks from the participants to run better programs or to develop new ones. Users themselves can share their thoughts between each other by leaving comments and recognize one’s tendencies in selecting learning resources of museums and evaluate their learning pathways. There are two purposes of the project. One is to establish the museum utilization model in which science literacy is fostered. Another one is to establish an interactive lifelong learning system as a new museum function. Dr. Yoshikazu Ogawa is Head of Education Division at the National Museum of Nature and Science (NMNS) and Adjunct Professor in Graduate School for Science Communication at University of Tsukuba. He was educated at the College of Biological Science in University of Tsukuba (BSc, 1982) and at United Graduate School of Education in Tokyo Gakugei University (PhD in Education, 2005). His career started as a biological teacher in high school and transferred to NMNS as a Science Educator in 1991. He has an experience of working as an intern at American Museum of Natural History of New York in 1999-2000. Dr. Ogawa's unique career in 2004-2006 was to work as Head at Office of Planning in NMNS. He communicated with Ministry of Education to make the Strategic Plan of the Museum. Over the 20 years, his research has focused on museum education and science education. Recently, he researched science communication and developed Science Communicator Training Program in NMNS. He is now an Executive Board Member of Japan Society for Science Education, Japanese Association for Science Communication and Japan Museum Management Academy. He is also an editor for Museum Studies of Japanese Association of Museums and Journal of Japanese Association for Science Communication. Learning tends to be theorized, in research and curriculum practice, from the perspective of the known and seen, as is apparent in the idea that learners intentionally “construct” knowledge. We need to ask, however, how students who do not know the learning object (what the teacher wants them to know) can orient towards this unknown, unseen, and therefore unforeseen knowledge. The purpose of this presentation is to bring the problematic of this learning paradox into sharp relieve by drawing on empirical examples from my research in a variety of settings. I then exhibit some core aspects of my findings, which, most importantly, highlight (a) the simultaneously active and passive aspects involved in any (perceptual) learning and (b) how the world and the objects it contains becomes independent of perception. I conclude by articulating some of the advantages that come with theorizing learning from the perspective of the learner – i.e., the perspective of the learning object as unknown, unseen, and unheard-of – including the often-forgotten emotional component. Wolff-Michael Roth is Landowne Professor of Applied Cognitive Science at the University of Victoria. After a career as a teacher of science, mathematics, and computer science who conducted a lot of research in and out of his own classroom, he turned to studying STEM-related cognition and learning across the lifespan in a variety of settings including kindergarten classes, school science and mathematics classrooms, scientific research laboratories, and workplaces. Having been trained as a statistician and several decades of experience in a broad range of qualitative research methods, his teaching responsibilities lie in research design and methodology. His current empirical work focuses on peer assessment, learning, and professional development among pilots (Australia, New Zealand). Some of his recent works include Passibility: At the Limits of the Constructivist Metaphor (Dordrecht, Springer, 2011), Geometry as Objective Science in Elementary School Classrooms: Mathematics in the Flesh (New York: Routledge, 2011), What more in/for Science Education: An Ethnomethodological Perspective (Rotterdam, The Netherlands: Sense Publishers, 2013), and First-Person Method: For a Rigorous Approach to the Study of Living / Lived Experience (Rotterdam, The Netherlands: Sense Publishers, 2012). Seeking ways to support and improve teacher education in STEM is a continuous challenge. My colleagues and I developed a method – scripting, or imagined role-playing – to help address this challenge. This is where prospective teachers create a script for a play that presents an imaginary interaction between a teacher and her students. The scripting method was used as both a pedagogical approach and a research tool in mathematics education. I will present the results of several recent studies which utilize scripting, consider advantages and limitations of this approach, and suggest adaptation and implementation in other STEM disciplines. Rina Zazkis is a Professor at Simon Fraser University in the Faculty of Education and an Associate Member in the Department of Mathematics. Her research interests are in mathematics education at the undergraduate level and teacher education, focusing on the uses of mathematical knowledge in teaching. She conducted extensive research on teaching and learning of elementary Number Theory, which is summarized, in part, in her book Relearning mathematics: A challenge for prospective elementary school teachers, published by Information Age Publishing. Her recent work is featured in the book Lesson Play in Mathematics Education: A Tool for Research and Professional Development, Published by Springer. Women in STEM have made great strides over the past century. Presently, women make up 37% of Canada's undergraduate STEM enrolment similar to most developed countries. Yet the participation of women in technology focused disciplines like engineering and computer science has stalled at below 20%. Moreover, the further one looks up the ranks, the smaller the number of women. Meanwhile, the demand for STEM professionals is outstripping supply and the need for women participate in developing the technology that will profoundly affect our society has never been greater. In this talk I will unpack some of the facts and fiction around girls’ and womens’ attitudes and experiences in STEM careers and look at some surprising yet successful strategies for changing participation rates. Elizabeth A. Croft, Ph.D., P.Eng., Fellow Engineers Canada, Fellow American Society of Mechanical Engineers, is Professor and NSERC Chair for Women in Science and Engineering, BC-Yukon at UBC and leader of the WWEST program for women in engineering, science and technology. The aim of this initiative is to promote Science and Engineering as an excellent career choice for women and other under-represented groups, and to identify and eliminate barriers that result in attrition from these career paths. As director of the Collaborative Advanced Robotics and Intelligent Systems (CARIS) Laboratory at UBC, her research investigates how robotic systems can behave, and be perceived to behave, in a safe, predictable, and helpful manner, and how people interact with and understand robotic systems. Applications of this work range from manufacturing assembly to healthcare and assistive technology. Elizabeth received a Peter Wall Early Career Scholar award in 2001, the Association of Professional Engineers and Geoscientists (BC) Professional Service Award in 2005, the Award for the Support of Women in the Engineering Profession, Canadian Council of Professional Engineers in 2006, an NSERC Accelerator award in 2007, and a YWCA Women of Distinction Award in 2013. Human endeavors in the fields of science, technology engineering and mathematics (STEM) contribute to technological innovation and the construction of modern and post-industrial societies. However, this progress also finds human beings in the midst of unprecedented environmental challenges. Relevant issues like environmental pollution, food and water shortage, and urbanizing tendencies brought about by modernization challenge STEM education in schools, leading students to comprehend present circumstances through the past developments and to ponder over the promotion of human civilization as well as environmental sustainable development by making good use of resources. Digital technology changes the lifestyle landscape, and its cybercultural applications also create a new paradigm for education. The abundance of resources on the Internet not only offers students great convenience for information searching and knowledge acquisition, but also establishes conditions for cooperative learning. The function of art education consists in its leading students to understand art history and culture through interrelationships among optical space, color, and shape. Integrating the arts in STEM to create STEAM education focuses on the coordination of learning resources and enables students to develop creativity and expressive capabilities for dealing with challenging cognitive and environmental problems. The main purpose of this Keynote Presentation is to share an innovative experience of incorporating art education into STEM for the past twenty years. Simultaneously, the presentation will also address how the STEAM curriculum can incorporate four properties—experience, sharing, learning, and creativity—through web 2.0 learning environments. It is intended to provide the STEN 2014 audience with the qualities of an established STEAM learning network. 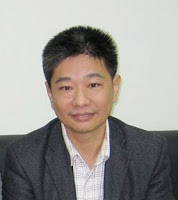 Ding Ming Wang is currently a Professor in the Graduate Institute of Human Resource Management at National Hsinchu University of Education, Hsinchu, Taiwan. From 2010 to 2013, he was the 6th President of Hsuan Chuang University, Hsinchu, Taiwan. Before that, he was the Vice President of Academic Affairs and a Professor in the Department of Visual Graphics Communication at Hsuan Chuang University from 2007 to 2009. Professor Wang conducted his undergraduate study at National Taiwan Normal University, Taipei, Taiwan and he graduated from the Department of Industrial Education in 1983. He received his Master (1989) and Ph.D. (1992) degrees in Technology Education from University of Maryland at College Park. Professor Wang joined the faculty of Department of Arts and Design at National Hisnchu University of Education in 1992, and established the Computer Graphics Studio Laboratory (CGSL) to provide a creative and novel learning environment focused on state-of-the-art research in animation and interactivity in digital art education. He founded and chaired the Graduate Institute of eLearning at National Hsinchu University of Education in 2005, and established several initiatives for network learning environments. During his term as President in Hsuan Chuang University, he was committed to developing university's global presence strategy and led the “Pursuing Excellence in Teaching” project which guided university transformation from a local university into a far-reaching institute in academia.